The City of Kettering & the Kettering Schools are committed to helping our community face the drug epidemic that is devastating our families. 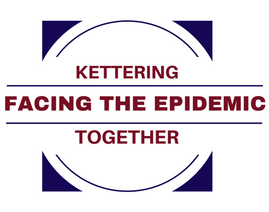 Below you will find the Kettering: Facing the Epidemic educational video as well as links to resources. We all need to get educated on the epidemic & then take action to get help for those in need. In May 2017, the City of Kettering and Kettering Schools brought together experts and leaders from the Montgomery County Coroner’s Office, Kettering Health Network, ADAMHS, South Suburban Drug & Alcohol Coalition, Kettering Police Department & Kettering Fire Department to produce a community education video on the rapidly escalating drug epidemic that is gripping our community. The information they shared is startling. The resources they offer provide hope. And their plea for all of us to come together as a community to face this epidemic is a critical call to action. The video has three segments. You can watch the full video or any of the three segments separately by using the links below. Please visit the COAT Website to learn more. Montgomery County Coroners Office provides up to date data on accidental drug overdoses. Montgomery County Coroner’s Office issued a Special Report on the Fetanyl Epidemic. Start Talking! is designed to give parents, guardians, educators, and community leaders the tools to start a conversation with Ohio’s youth about the importance of living healthy, drug-free lives. For more information, visit www.starttalking.ohio.gov. KNOW! Tips are age-appropriate facts on drugs, alcohol, and tobacco that are emailed twice a month to parents, grandparents, or caregivers, and are excellent conversation starters. Schools can sign up for the TEACHable moments emails that can be used in school or distributed to parents in newsletters or folders. For more information, visit http://starttalking.ohio.gov/TakeAction/ParentsGrandparentsCaregivers/ParentTipSignUp.aspx. Parents 360 Rx is designed to raise awareness of the opiate epidemic, eliminate the stigma associated with the disease of addiction, and offer tools for safeguarding medication. The Web page offers a free video to show to the community, and a toolkit that offers guidance on how to host an event. For more information, visit www.starttalking.ohio.gov/Prevention/PARENTS360Rx.aspx. The video, produced by the Ohio Attorney General’s Office, tells the story of a family affected by drug addiction. Visit www.OhioAttorneyGeneral.gov/getdoc/78d4dde6-67b9-4cb7-9533-d2d855805b0f. The National Institute on Drug Abuse (NIDA) for Teens is organized to offer students a range of educational experiences as they learn facts about drugs and neuroscience, and to support educators and parents as they aid student learning. NIDA for Teens offers public service announcements, visit http://teens.drugabuse.gov/interactives-and-videos/videos. People Recover is an educational comic book produced by the Substance Abuse and Mental Health Services Administration (SAMHSA) about co-occurring disorders. The book provides a hopeful message of recovery for people with substance-use disorder and mental illness and offers helpful resources. To order a free copy, visit www.store.samhsa.gov/product/People-Recover/SMA13-4712. In an effort to combat the growing epidemic of prescription drug and heroin abuse, the FBI and the Drug Enforcement Agency have released Chasing the Dragon: The Life of an Opiate Addict, a documentary made to educate students and young adults about the dangers of addiction. The 45-minute video is available online. Visit www.fbi.gov/news/stories/2016/february/raising-awareness-of-opioid-addiction/raising-awareness-of-opioid-addiction. SAMSHA Faith-Based and Community Initiatives (FBCI) The Substance Abuse and Mental Health Services Administration (SAMHSA) FBCI is a model for how effective partnerships can be created between federal programs and faith-based and community organizations. For more information, visit www.samhsa.gov/faith-based-initiatives. The governor’s Community Connectors program is designed to unite students, their parents or caregivers, schools, communities, faith-based groups, and businesses through mentoring programs that will create new pathways for civic engagement and result in higher educational achievement, improved health, and greater workforce readiness. For more information, visit www.governor.ohio.gov/PrioritiesandInitiatives/FaithBasedandCommunityInitiatives.aspx. The program offers Ohio employers information and tools to combat substance abuse, which affects productivity and safety in the workplace. For more information, contact Sarah Smith, director of Start Talking!, at 614-387-2799 or Sarah.Smith@mha.ohio.gov, or visit http://starttalking.ohio.gov/TakeAction/Businesses.aspx. Drug Free Safety Program The program offers a rebate to eligible employers that implement a loss-prevention strategy addressing workplace use of alcohol and other drugs. For more information, visit www.bwc.ohio.gov/employer/programs/dfspinfo/dfspdescription.asp.